Enterprise England provides affordable, flexible office space in vibrant, sustainable and supportive environments to nurture and support those with the vision, drive and enthusiasm to start or grow their own business. 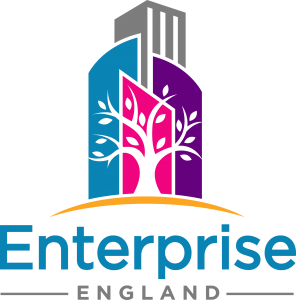 Enterprise England Centres create the perfect environment for all start-ups, social enterprises and charities by enabling them to establish themselves, reduce their overheads and develop their own income streams, in a creative and collaborative atmosphere. Our success is based on a genuine understanding of the real world challenges that face those looking to start their own business. We know new businesses need more than just affordable office space and recognising this, we work with a wide range of partners, providing flexible, low cost business accommodation designed to provide a positive and nurturing environment. Support is offered at every level through a combination of on-site mentors, regular workshops, training, networking events and Enterprise Grants for eligible new start-up businesses. The Maidstone Enterprise Centre is located in Maidstone House, situated above The Mall Shopping Centre in the middle of town. The centre offer a wide range of newly refurbished office spaces suited to business startups, existing businesses, social enterprises and charities. The site incorporates the Maidstone Bus Station and a large public carpark. The mainline railway station is within 12 minutes walk. Reports on Member of Parliament grants and discretionary donations in the Cook Islands – June 2018.